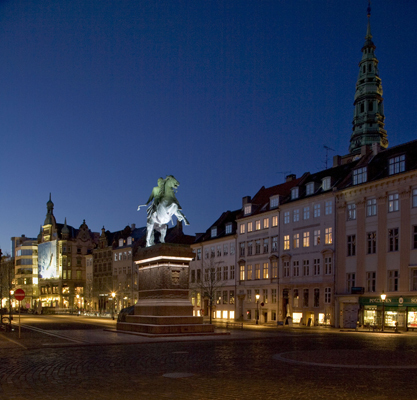 The City of Copenhagen counting 572 376 inhabitants is a city with high population density. The average age is relatively low due to the fact that many students and young families have settled down in the city over the last decade. It is a green, healthy and living city recognised for its ambition to be the first carbon neutral capital city in the world by 2025 as well as the ambition of being the world’s best city for cyclists. 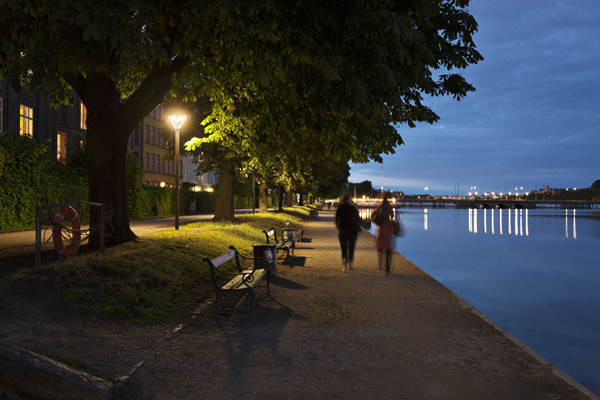 The maintenance of Copenhagen’s public lighting is outsourced in the framework of a 15 years operational contract starting from November 2013. The operation, maintenance and implementation of new lighting points in the city are outsourced. The operation and maintenance together with the planning and execution of our upcoming renewal project is in the hands of Citelum in a strong partnership with the city. The city’s lighting master plan was approved by the technical and environmental council in the beginning of 2014. The master plan contains the key ideas for the replacement of 20 000 fixtures in our renewal project will be implemented. 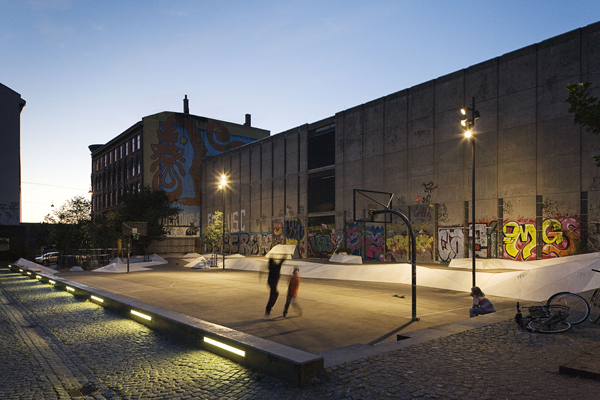 The master plan focusses on creating coherence in lighting expression and at the same time supporting the diversity between the different areas of Copenhagen. Kalvebod Wave stretches out into and above the water in the Inner Harbor. With its dynamic shape and wavy lateaus, it invites to new urban life on Kalvebod Brygge, which has been deserted for many years. Now the citizens can train kayak, use the outdoor sports training gear or simply relax and enjoy the view. The primary lighting along the promenade/harbor front is created by “Bridge”-fixtures which are 24 V DC 3,6 W LED med 3.000 K. They are recessed into the underside of the hand rail yielding the Danish lighting class E2, i.e. 2,5 hemispherical lux with a uniformity of 0,15. This was the idea behind The North West Park: a new public space in the most culturally diverse quarter in Copenhagen with almost twice the amount of non-western immigrants as in the rest of the city. With a magic mix of lights, colours, trees, poetry and even small mountains, SLA transformed a vast, fenced-in, empty lot into a green and lively space, and introduced new adventures and stories to North West. 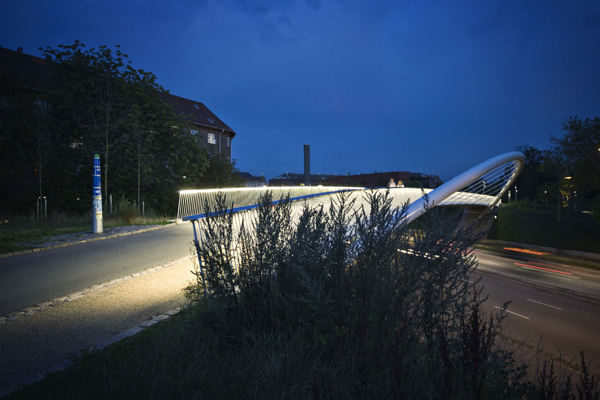 The park’s characteristic, colourful and sustainable lighting won the Danish Light Award 2010. Like the best H.C. Andersen fairytale the old outdoor lighting in this district has been transformed from an ugly duckling to a beautiful swan. With the new lighting master plan and lighting designs this has succeeded in full, while the poetry of architecture has been preserved, life between the houses optimised, and the new urban spaces rediscovered for active use and enjoyment of children and adults. 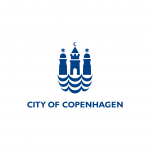 Copenhagen is currently in a renewal project regarding street lighting. The renewal project contains changing 20 000 lighting points. 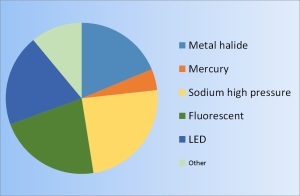 The renewal project is initiated by the large savings potential on energy. The renewal project will result in a 57 % electricity saving on street lighting, when comparing 2016 to 2010. The renewal project was included in the tender process for the maintenance contract. In 2018, the City of Copenhagen held the first edition of the Copenhagen Light Festival. In 2014, the City of Copenhagen hosted a City under Microscope, jointly with the City of Albertslund.